Yesterday Peru’s President Pedro Pablo Kuczynski (PPK) took stock of his first five months in office and announced some important economic undertakings planned for 2017. The 77-year old Head of State promised as well to make good on his electoral promises. Overall the Peruvian President is optimistic about the economic recovery of the country in 2017. The measures already implemented by his government are expected to bear the first fruits in March or April. PPK is furthermore convinced that Peru will see an economic growth rate of about 5% in the next year. 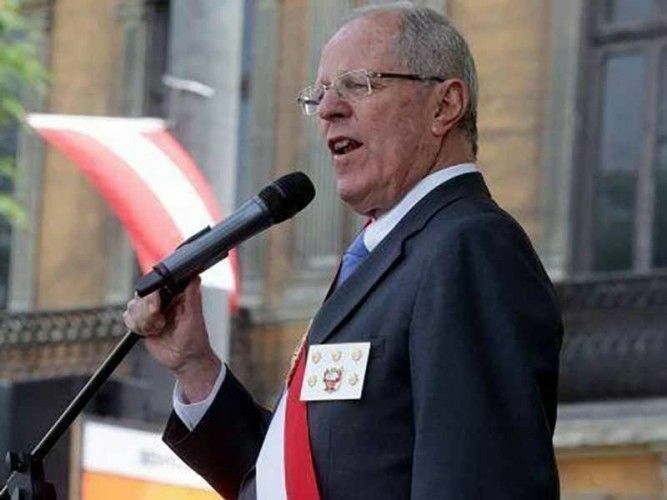 During his election campaign Pedro Pablo Kuczynski promised to reduce the Peruvian sales tax IGV. Now he is fulfilling this promise. Starting in July 2017 the sales tax is reduced one percentage point from 18% to 17%. Furthermore, the Peruvian President stated that the government is planning to aid lower income families and at the same time boost the construction sector, that suffered in the past couple of years due to decreasing investments, by promoting the construction of affordable housing. Through programs such as Techo Propio and Mivivienda the building of 40,000 homes is supported with public funding. Additionally, exports of the textile sector are stimulated in 2017 with the creation of industrial parks and free trade areas planned to being located in Lurin and in the northern part of Peru. The Peruvian President confirmed that the government works on a solution for PetroPeru, the crisis-ridden and heavily in debt Peruvian state-owned petroleum company. He also made clear that environmental contamination will no longer be accepted in Peru.